On Saturday the 30th of August the final of the annual ATKV Universiteitesêr will take place at the University of Johannesburg (UJ). This year celebrates the 18th year of universities competing among each to be crowned winners of this prestigious cultural event. Participants include: UJ, Kovsies, Maties, Pukke and Tuks . 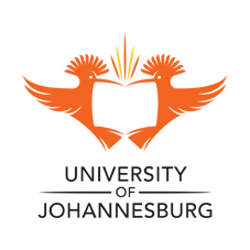 UJ will host the competition this year and thousands of students and supporters from all over the country are expected to stream to Johannesburg. Male and female groups representing universities compete in this esteemed event. Universities will also be encouraged to produce flash mob videos on their respective campuses that will be loaded on to a specific YouTube channel. Every group consists of between ten and 20 acappella members. Groups are expected to perform a prescribed as well as their own composition song. The own composition song should be in Afrikaans, meaning that more than 100 new Afrikaans songs are composed. Tickets to this prestigious and popular event are sold out within minutes once they are released. The competition is so popular that two additional venues are opened up on the same evening with groups rotating from one venue to the next, performing the same repertoire. The Universiteitesêr has laid the foundation for many an acapella group, such as Navi Redd and Flip a Coin. If you want to see more about this year’s sêr groups, keep an eye out for programmes on KykNet and MK op DSTV. Main sponsors for the event include the ATKV and FNB.